Learning how to love yourself as a mom is all about drowning out the negative self talk. This is a must-read for any mamas struggling out there today. Nothing has made me feel more flawed and inadequate than motherhood. 285 days ago when I heard the first cry from my little man, I was not prepared. I wasn’t prepared for the raw emotions of postpartum. I wasn’t prepared for that “mommy guilt” I’d heard of. I wasn’t prepared for the abundant need for grace. I certainly never imagined that I would need to learn to love myself in a whole new way after becoming a mother. 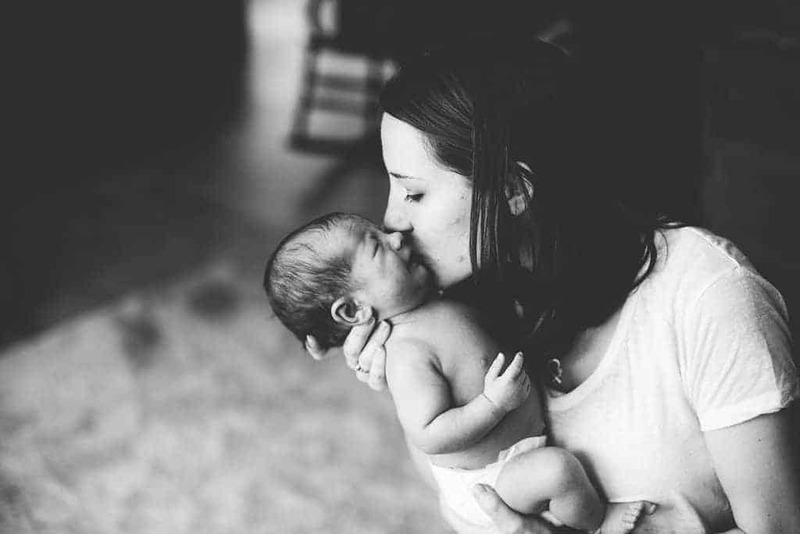 It wasn’t until I began to try (I say try because I haven’t quite figured it out yet) to love myself that I was able to settle into the grace of motherhood. The grace that we desperately need, but are so hesitant to accept. Why are we anxious to become martyrs? Why are we so cautious to take care of ourselves? 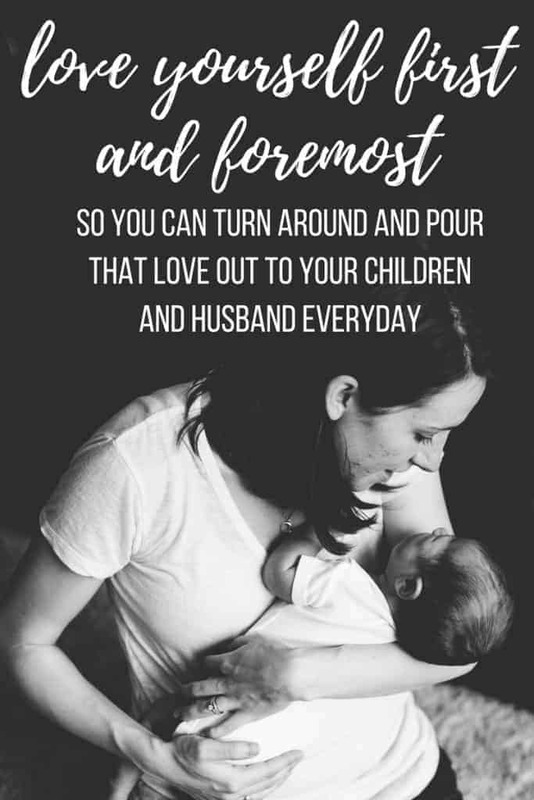 You must love yourself as a mom first and foremost so you can turn around and pour that love out to your children and husband everyday. That self doubt that is creeping into the back depths of your brain while you try to navigate the waters of parenthood is normal, but whatever you do…don’t let it paralyze you. Don’t let that voice win. You know what voice I’m talking about it. 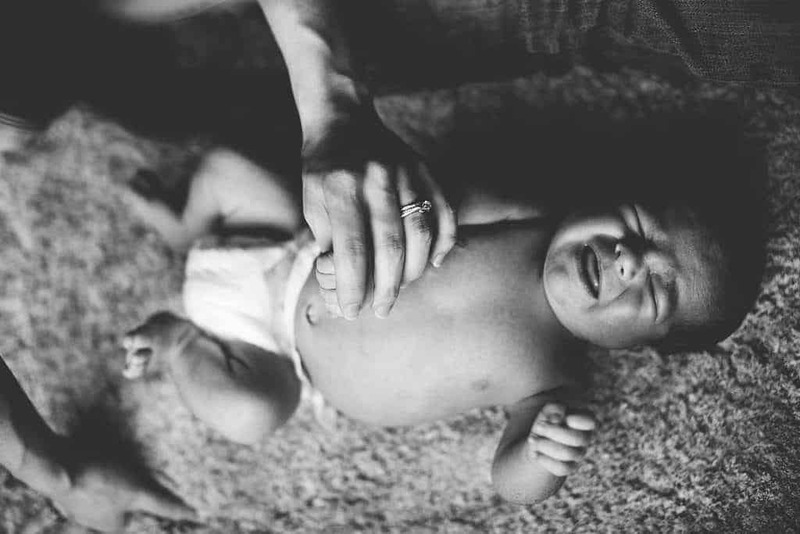 There will be times when you sit on the edge of your bed crying alongside your fussy baby, thinking that you’re just not cut out for this mom thing. I know because I’ve had those times. You can’t even put him to sleep, you can’t raise him. But that voice is wrong. The fact that you are crying alongside him proves that voice is wrong. The fact that you’re holding him and hoping for some sleep proves that voice is wrong. You care from the depths of your soul, don’t you? Stomp out that voice by starting to love yourself as a mom. Drown out the negative self talk with reassurance that you can do this, you are not alone…and ya know, sometimes babies just don’t sleep. But, mama, there will be times when you are holding your little baby in your arms and you can’t help but cry tears of love because you don’t know how you could love a little human so much. Those are tears of gratitude. You feel so utterly blessed that God has trusted YOU this precious gift, don’t you? In these blessed moments, don’t let that voice in that says you are not worthy. Because you are. He didn’t create that little miracle for anyone but you. 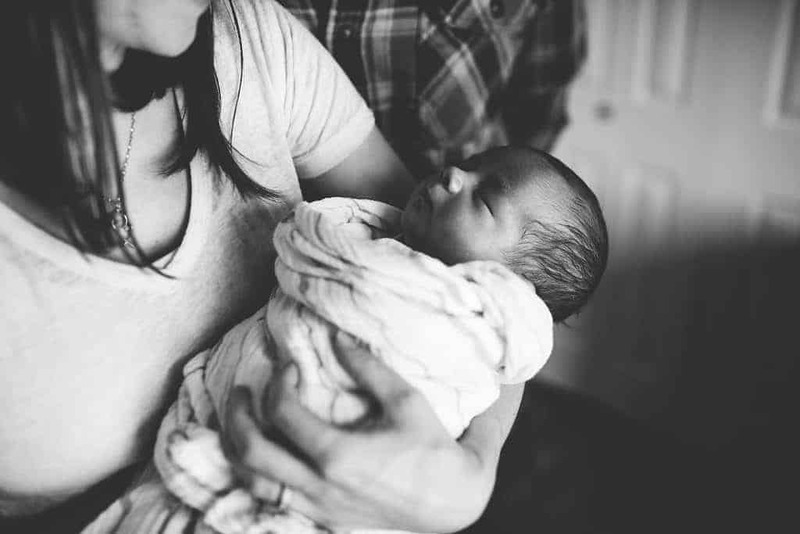 That baby in your arms is God’s little reminder that you are worthy. You are capable. You are blessed. You are honored to be called mommy. You got this. Let that be the voice inside your head as you wake up every day with a mission to love yourself as a mom first and foremost so you are able to love your family. Nothing like motherhood to fill you full of doubts and anxiety! All that guilt! I’d like to say it gets easier as the kids grow but alas….. love the article thanks for sharing! I needed to hear this today.. I don’t have custody of 3 of 4 of my kids and it eats me alive daily. Thanks for your comment Natalie! Glad that was a good read for you! Don’t let the negativity in! YES! Love this. So true! I’ve often thought of the airplane analogy too. It’s not selfish to take care of ourselves, because we can only care for others if we take care of ourselves. Thanks for sharing! And congrats on your new baby. The first year is definitely the hardest! My youngest is 14 months now and at such a fun age… walking, waving, nodding, and sleeping a bit better (except for last night) LOL. 🙂 So nice to meet you through #BehindtheBlogger. I so needed to read this today! My sweet little girl will be 8 weeks old tomorrow. I love being a mom and cannot imagine life without her. I have thanked God for giving me the gift of my daughter, but I haven’t looked at it from your perspective. You’re right, God gave me this girl because I am capable. I may not be perfect, but I can teach my daughter how to become a better person that has positive self talk and self love. Thank you for your insightful words!! I’m now 60 something and a deliriously happy grandma of 7. I remember thinking , if I couldn’t get away from my kids, I wouldn’t be responsible for my actions. I know you all can understand that momentary thinking. Well, we would get a babysitter for a couple of hours and when we got home, I was so happy to see my kids, I would just smother them with kisses and tell them how much I had missed them.